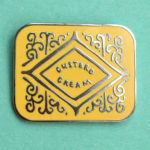 Been having a bit of a 1970s ‘crush’ of late and spotting plenty of interesting design pieces along the way. In fact, here are five 1970s table lamps on eBay that have come on my radar recently, perfect for both illumination and talking points. Of course, no particular order here. I love them all equally. 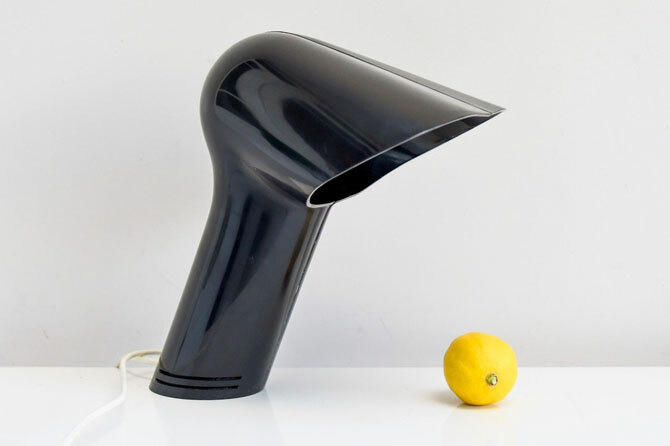 When it comes to the 1970s, Italian design was at the forefront. Bold, exciting and futuristic. 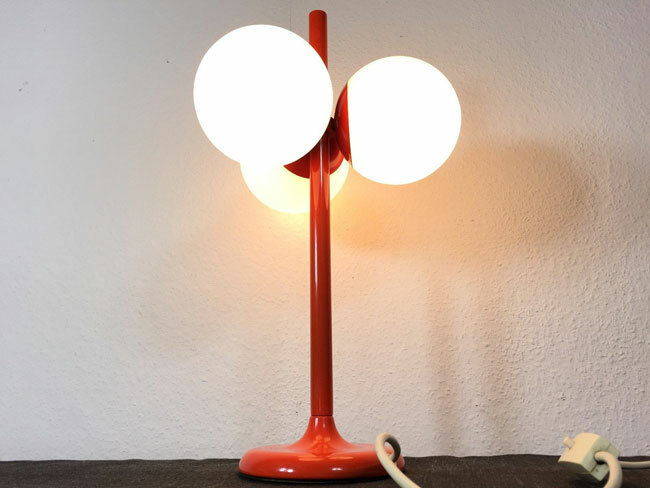 This Pelota table lamp is typical. Almost sculptural, this 1971 has a design based on the glove used in the Basque sport of ‘Pelota’. Hence the name. Some minor wear and a slight chip, which isn’t bad after so many years of use and with a price tag of £350. But you can make a cheaper offer. Note the words ‘Guzzini-style’ here. This isn’t the real deal. 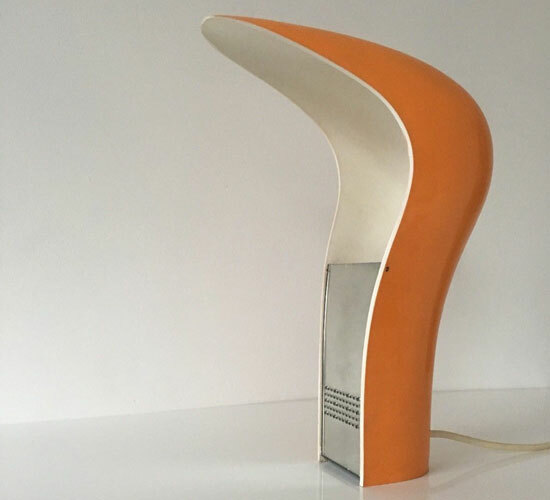 Back in the 1970s, Guzzini made their own design classics, but they also made lights for high street brands, while other retailers made lights inspired by these pieces. All of which makes buying Guzzini originals a tough call. Basically, it needs the branding or needs to be a recognisable piece. The generic mushroom lamp is usually high street, but it is a strong look and good value if the lamp has been looked after. 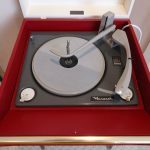 This one looks to be in good condition (but have a look yourself) and although £150 sounds a lot for what it is, the lamp is still worth checking out. From Italian design to something British. Just as stylish though. 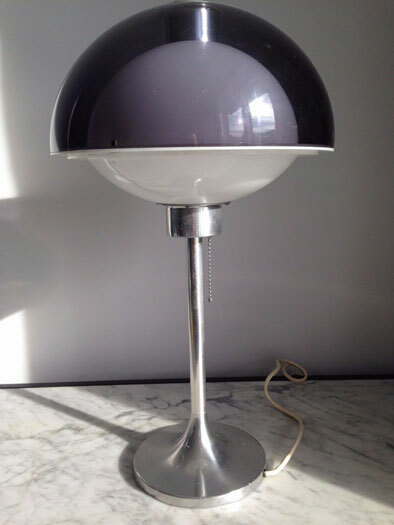 This is one example of the Lumitron range from the 1970s (you can also get lighting for the floor and ceiling too), complete with an aluminium tulip base, a shade in white and purple and a ball chain pull cord. 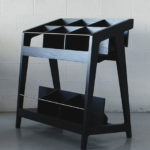 Prices for these have been going up and up of late, so no surprise to see this one at £300. Our trot around Europe takes us to Germany and something very much of the era. 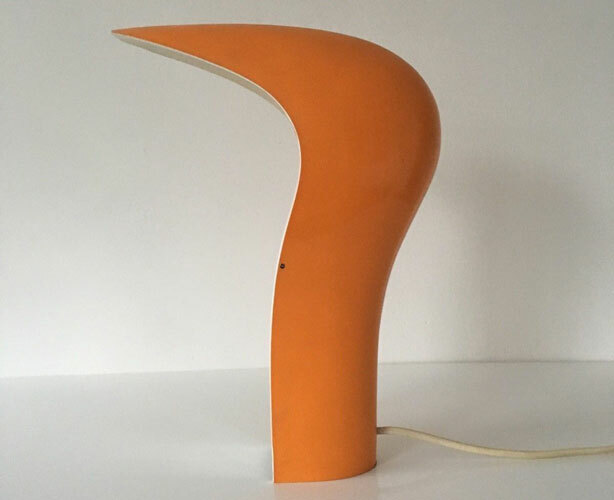 It’s a lamp in orange, of course this is a 1970s design. Throw in a tulip base and some handblown globe lighting and it can’t be of any other era. Functional, but with a degree of opulence too. 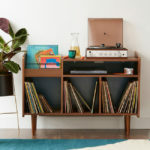 Reminds me of something you would see in the Conran House Book during that era. 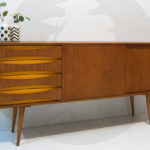 This one is described as being in very good original vintage condition and with a price of £420.20. But again, you can put in a cheaper offer. These have been remade, but scholars of the style aren’t too impressed with the subtle changes of that design. This is an original one. 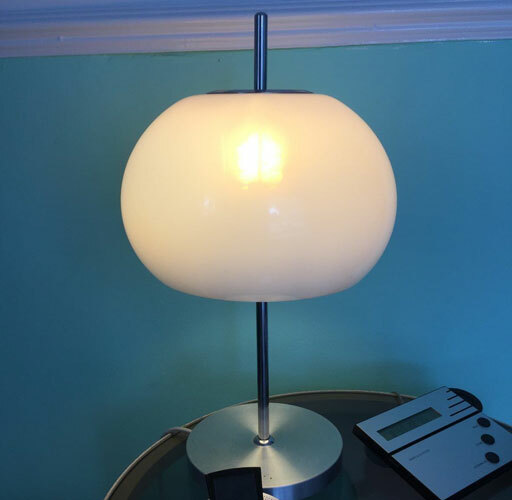 It is an icon of the space age era and is often associated with the TV show Space 1999, where the lamp was often found on desks and tables. Yes, this was the future from a 1970s perspective. The lamp here is a rare black model, described as being in ‘good vintage condition’ but it does have some marks and scratches due to age. £425 is the price or again, you can make a cheaper offer.